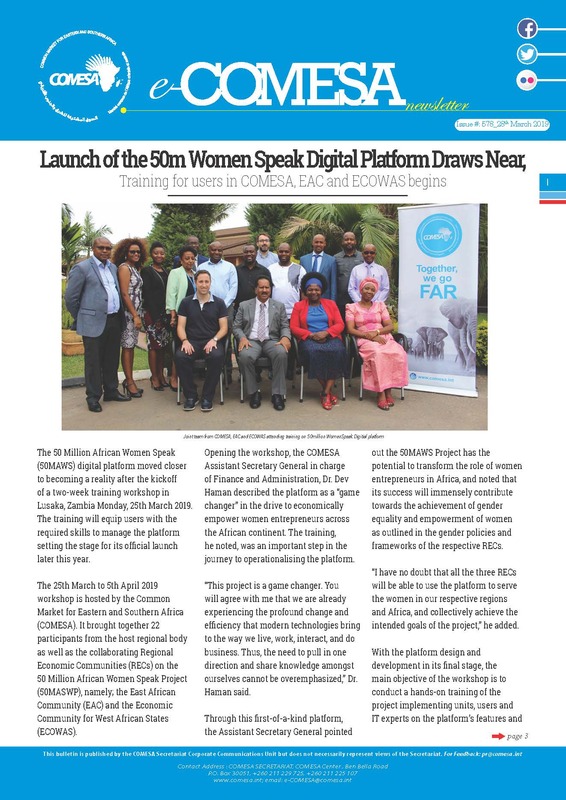 The COMESA Innovation Awards was launched in 2013 to celebrate the Africa Union 50th Anniversary. The Awards are aimed at recognizing and celebrating individuals and institutions that have used science, technology and innovation to advance the regional integration agenda. The inaugural Innovation Awards were successfully given at the 17th Summit of the COMESA Heads of States and Government held in February 2014 in Kinshasa DR. Congo and the second was given at the 18th Summit in March 2015 in Addis Ababa, Ethiopia. This year COMESA has advertised for call of papers under the theme; “PROMOTING INTRA-COMESA TRADE THROUGH INNOVATION”. The selected papers will be presented at the Sixth COMESA Annual Research scheduled for August 2019. The best way to achieve productivity growth is through greater innovation, which can be defined as the development of new or improved products, services and processes. Organizations that innovate successfully can enhance their competitiveness and position themselves for growth. Countries and regions with robust innovation activities have higher productivity, economic growth and job creation and have more government revenues available to support spending in core public priorities such as health, education and infrastructure. In line with the Annual Research Forum theme, COMESA calls for innovation concepts to be show-cased and presented during the Forum. The focus of the 2019 Innovation Concepts will be on new products, new methods of production and new ways of improving technology. Also included in the criteria is methodology of opening new markets, new ways of doing business, conquest of new sources of supply of raw materials and implementation of a new form of commercialization among others. Although the Innovation Concepts are geared towards all innovators in member-states, the 3 main target groups are SMEs, youth and women.